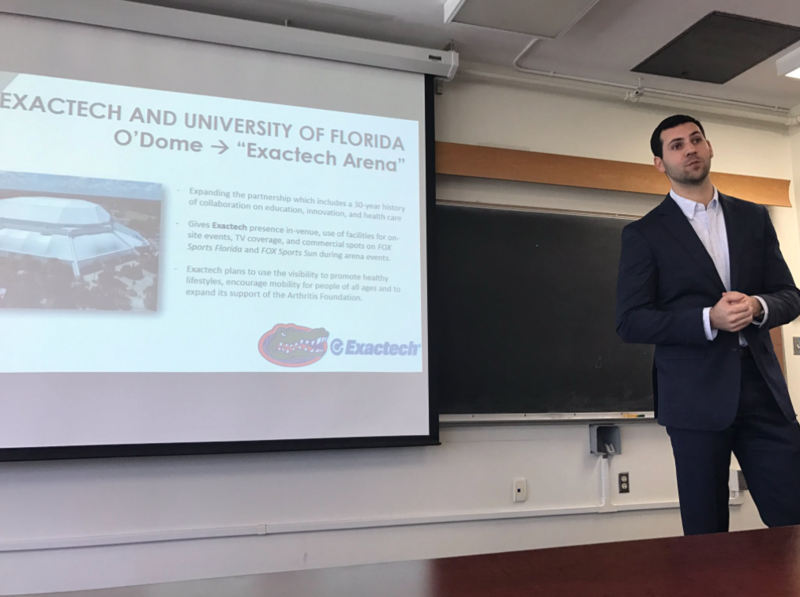 Check out a behind-the-scenes look of the work our FOX Sports U students at the University of Florida did to develop advertising concepts to celebrate the inaugural year of Exactech Arena, and the partnership between Exactech and the university. The winning team was invited to observe campaign production from start to finish, and watch their ideas come to life. Check out the winning team's inspiring campaign, "People Just Like You." Check out the winning team's inspiring campaign, "People Just Like You." Sari recently graduated from the University of Florida with a Bachelor’s of Science in Advertising. She has summer plans to travel and work as a freelance copywriter with hopes of getting full time job in writing or social media. Sari enjoys writing, exploring the outdoors and seeing live music. Fox Sports University presented me with the biggest creative challenge of my life thus far, and I wouldn’t trade the experience for the world. Through Fox Sports University I learned critical skills and became equipped with important tools that have prepared me for my post-grad career. Winning Fox Sports University was one of the proudest moments of my life because it was such a humbling and amazing experience to see our hard work pay off. Rafaela Pelegrina is from Gainesville, FL. She is a third year Digital Arts and Advertising double major. She focuses on graphic design and videography and plans to eventually work as a Creative at an advertising agency. She enjoys drawing, watching Netflix, and being a part of the Women’s March of Gainesville as a co-leader. Fox Sports and Exactech gave me the opportunity to grow exponentially as a teammate and an individual. I would have never thought such an invaluable experience was available to me. The Fox Sports University program was one of the most fun and accomplishing courses of my college career. I was able to learn an incredible amount from the project and my wonderful teammates. Being able to work with Fox Sports and Exactech was a dream come true. Never have I been surrounded by so much talent, drive, and triumph in one semester. Alexis is a recent graduate with a major in Advertising and a concentration in Sport Management. She plans to travel for the remaining summer while exploring graduate programs with several agencies. She is interested in social media, sports marketing and art direction, but really loves learning all she can about the many different roles in advertising. On her free time, Alexis enjoys anything outdoors, trying new cuisines and reading recommended books. FOX Sports U has given me the opportunity to experience a different side of advertising I wasn’t previously familiar with and allowed me to flourish in my passion! FOX Sports U showed me the value of a team and working together. There is a lot of hard work that goes into a campaign and it would be impossible to do it alone. 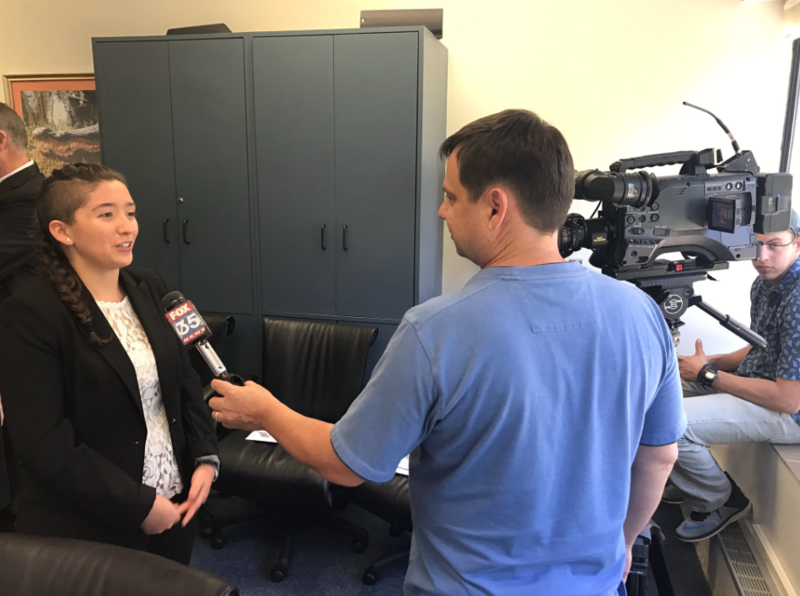 Working with FOX Sports U and Exactech, Inc. was a unique opportunity to work with a national company and a local company that has made a huge impact in our school and community. It was nice knowing both companies valued our work not only as students, but professionals. Amanda is from a town in New Jersey just outside of New York City. She decided to become a creative art director immediately after taking a digital graphics class in high school. Amanda is a recent graduate from the College of Journalism and Communications at the University of Florida. 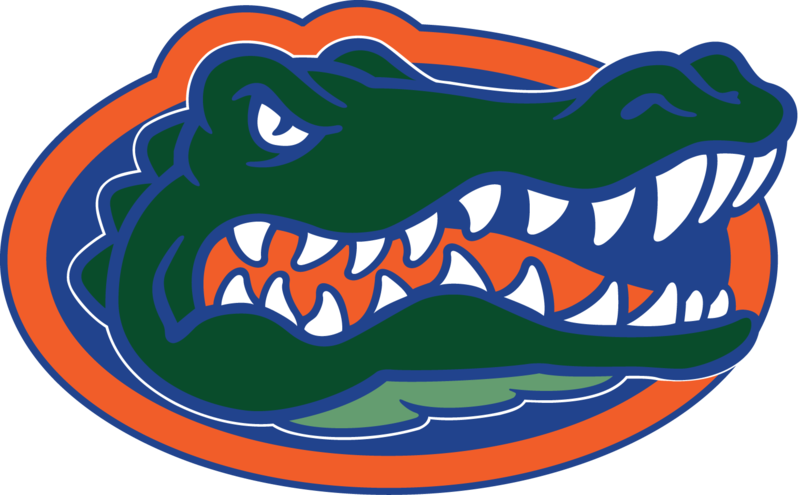 The University of Florida taught her a number of key skills that will allow her to thrive in the advertising world. She held summer internships at RETREAT Magazine and OMD Agency in London, where she gained great experiences in advertising, art direction, social media marketing, brand awareness and sales. After graduating, Amanda moved back home to New Jersey and is currently interviewing for creative jobs. Amanda would like to be part of a creative team that will help her achieve her ultimate goal of becoming an art director. Amanda has a passion for art and design and plans to continue to develop her skills through her future experiences. This experience opened my eyes and showed me what professional agencies do. I am excited and passionate to continue down the advertising path and it is all thanks to FOX Sports. FOX Sports U was an amazing program that allows students to gain real world experience. I will always value the amazing opportunity FOX Sports gave me to apply and bring my knowledge and skills to a real life situation. Jessica recently graduated from the University of Florida with a Bachelor’s of Science in Advertising and a concentration in Business Administration. 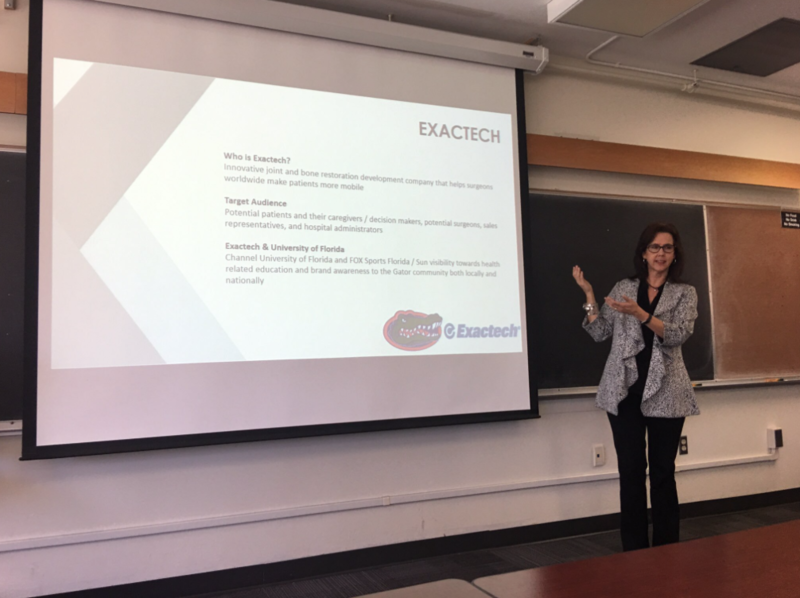 Upon graduation, she will begin her graduate program at the University of Florida to pursue a master’s degree in digital marketing and strategy. Jessica plans to move to New York City and begin a career in brand management for a cosmetics company. She has been a fan of the beauty industry since she can remember and can’t wait to align her passion with her professional path! Fox Sports University is the real world in a college setting. It was the most valuable class I got to be a part of in undergrad and it truly allowed me to put everything I learned from college into fruition. Fox Sports University allowed me to step outside my comfort zone and grow from my experiences working in a new industry. I am so proud of what we created for Exactech. Seeing our ideas come alive from our sketches and storyboards to a full creative campaign and commercial was incredibly humbling and inspiring. 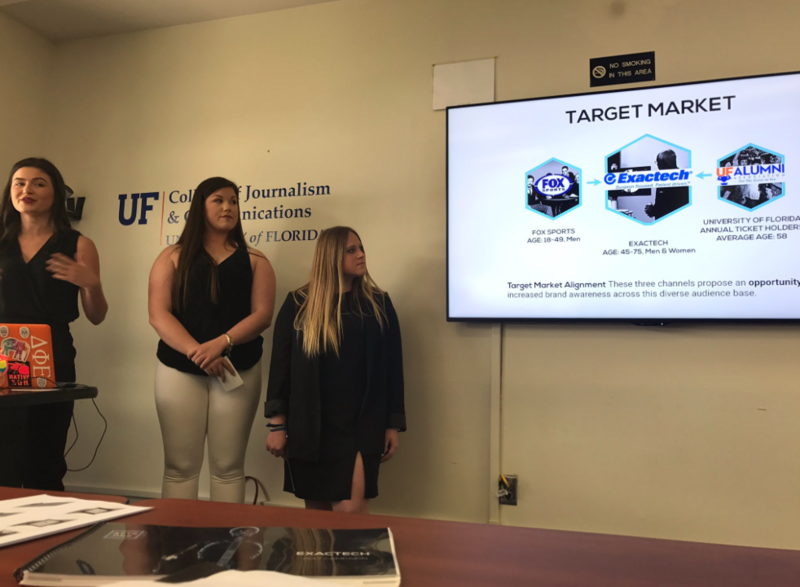 FOX Sports U and FOX Sports Collegiate Properties teamed up with FOX Sports Florida to challenge University of Florida Journalism students to develop creative concepts that leverage FOX Sports Florida’s suite of assets to celebrate the inaugural year of Exactech Arena.